TWO of the area’s leading designer-makers have teamed up for a prestigious London exhibition, which they are then bringing back home to Dorset for a free show during Purbeck Art Weeks. 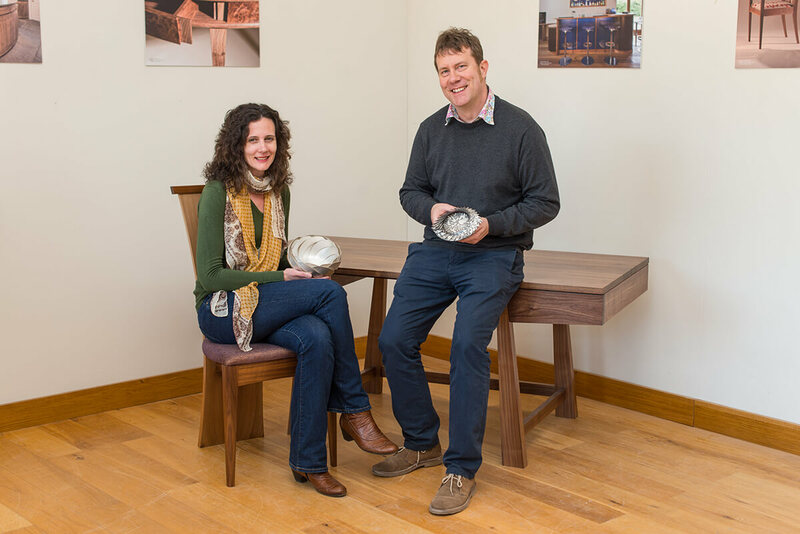 Furniture maker Simon Thomas Pirie from Briantspuddle and silversmith Karina Gill from Hazelbury Bryan are taking part in “Inspired 2015” at The Goldsmiths’ Centre in Clerkenwell, an exhibition of the finest modern furniture makers and contemporary silversmiths. The event is part of British Silver Week (19-23 May). Karina is showing a range of silver bowls, displayed in a pair of cabinets designed specially for ‘Inspired’ by Simon Thomas Pirie in English walnut, sycamore and glass. The pair are then transferring the exhibits back to Dorset where they will be on show alongside further pieces in Simon’s gallery and workshop at Briantspuddle from 27-31 May as part of Purbeck Art Weeks. “Wood and silver make a really nice combination that bring each other alive,’ says Simon. 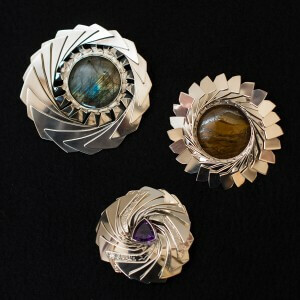 For Purbeck Art Weeks, Karina will be displaying her bowls, plus a range of jewellery with prices starting at £30. 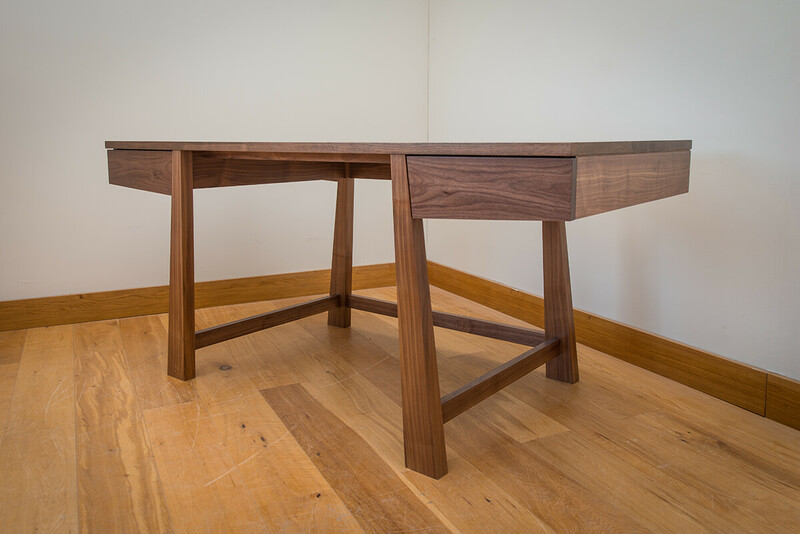 Simon will have a full range of furniture on display, including dining sets, cabinets, occasional tables and the desk he made for Makers’ Eye / St Hugh’s College in Oxford. This project recently won the ‘bespoke furniture category’ of the prestigious Wood Awards. There’s also a chance to hear Karina and Simon talking about their work and practices during Purbeck Art Weeks on Thursday 28 May from 6-9pm at the Courtyard Gallery. Tickets available through Dorset Visual Arts, telephone 01305 853 100. Or see the Dorset Visual Arts website. For full details of Purbeck Art Weeks Festival, including other open studios and events visit the PAWF website.